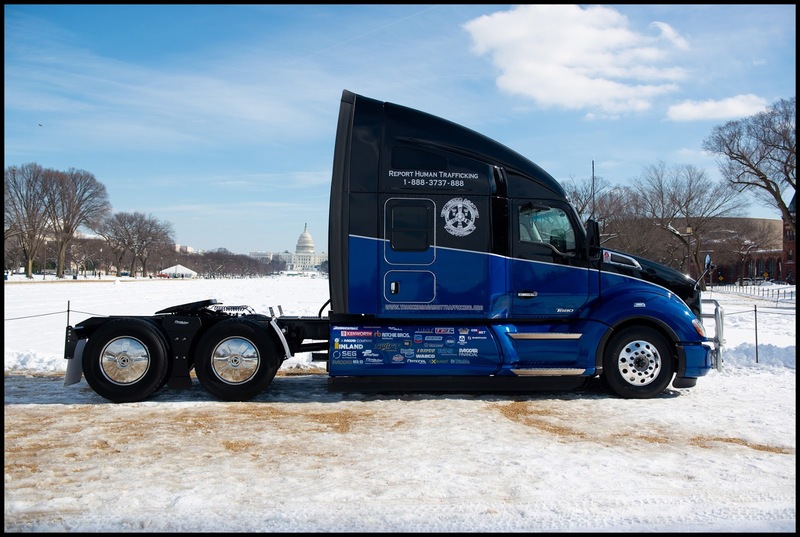 KIRKLAND, Wash., March 20, 2019 – The Kenworth “Everyday Heroes” T680 will make an appearance at the Mid-America Trucking Show (MATS) as part of its five-month long road tour before it is auctioned for sale, with proceeds going to Truckers Against Trafficking (TAT). The 501(c)3 non-profit organization is devoted to stop human trafficking by educating, mobilizing, and empowering the nation’s truck drivers and rest stop employees. Platinum Level: Kenworth Truck Company, Inland Kenworth and Ritchie Bros.
Gold Level: PACCAR Engine, SEG Automotive, and Swift Charities. Silver Level: Bendix, Bridgestone, Eaton, FlowBelow, Horton, Jost, Meritor, PACCAR Financial, PACCAR Parts, Trimble, Utility Trailer Sales of Arizona, and WABCO. Bronze Level: Alcoa, Arizona Rock Product Association, Arizona Trucking Association, Beaver Stripes and Molding, Chevron, ConMet, Davco, East Penn, Ex-Guard®, National Seats, PrePass / Help Inc, Sheppard, and Tectran.